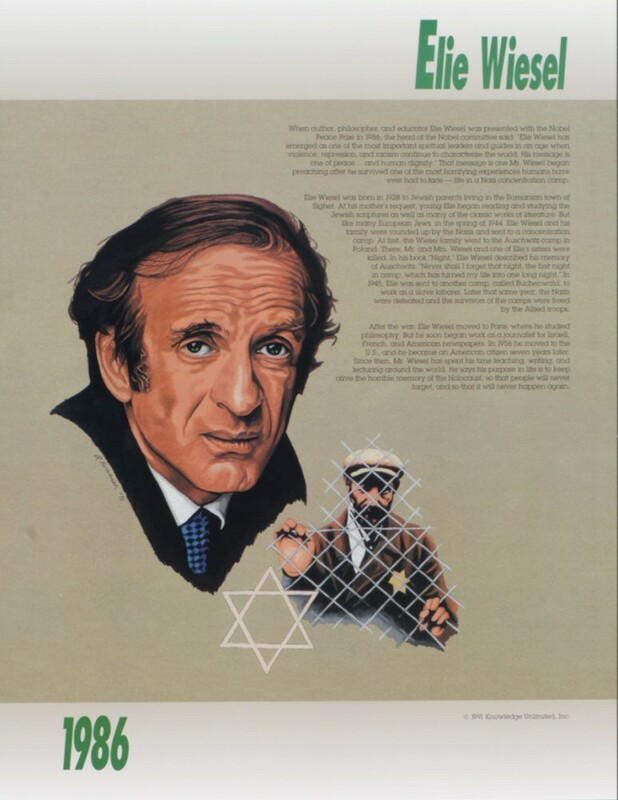 This educational poster features a striking image and biographical summary of Nobel Peace Prize winner Elie Weisel. 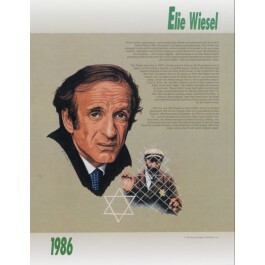 Elie Weisel won the Nobel Prize in 1986 for his message of peace and his example of human dignity. Elie Weisel, a holocaust survivor and author, has helped people understand the importance of speaking out against oppression to make sure there are no more holocausts.